What is the Take One Project? Take One is a cultural learning programme that encourages museums, archives and schools to work together to use collections as a way of developing pupils’ skills and understanding in a cross-curricular way. The Take One model is based on an initiative developed by the National Gallery called Take One Picture, in which a single picture was selected as a rich resource that could be used for cross-curricular work. This became an annual project using a different picture from their collections each year. Take One came out of Take One Picture and it uses historic artefacts, documents, buildings and sites as the inspiration. How does Take One work? 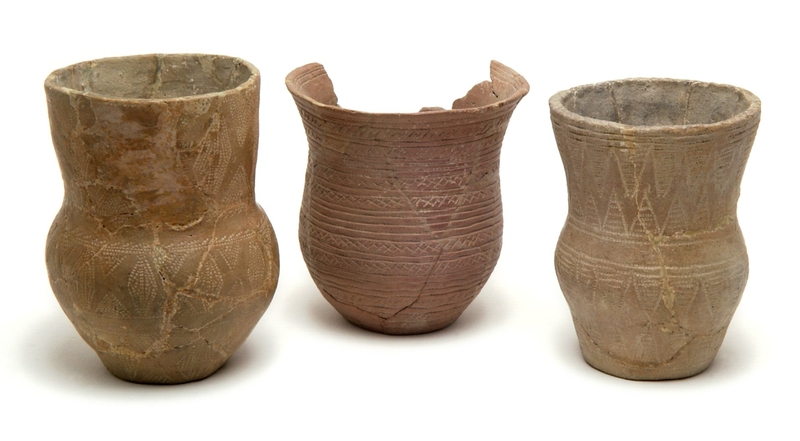 We have selected three Bronze Age pottery beakers from Wick Barrow, to be the focus of this Take One project. 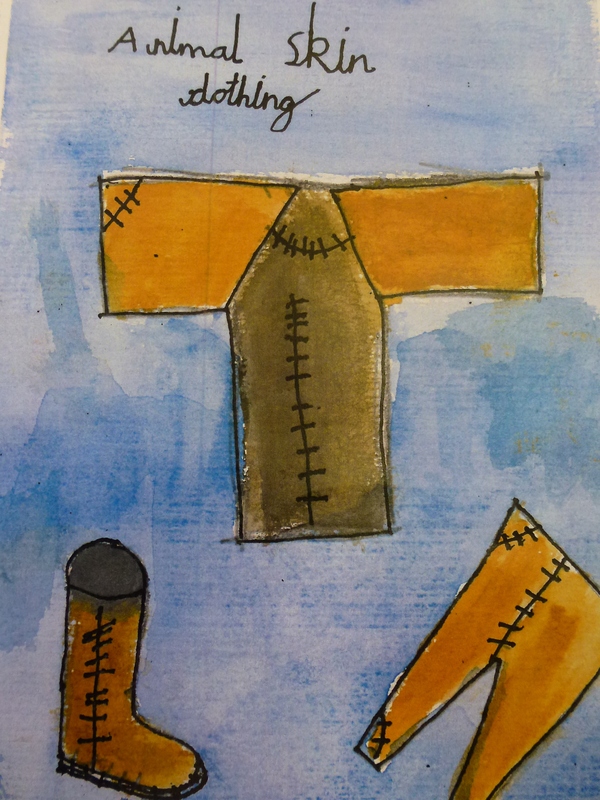 We have put together a resource pack (downloadable below) so you and your pupils can follow your own imaginative pathways and lines of enquiry. 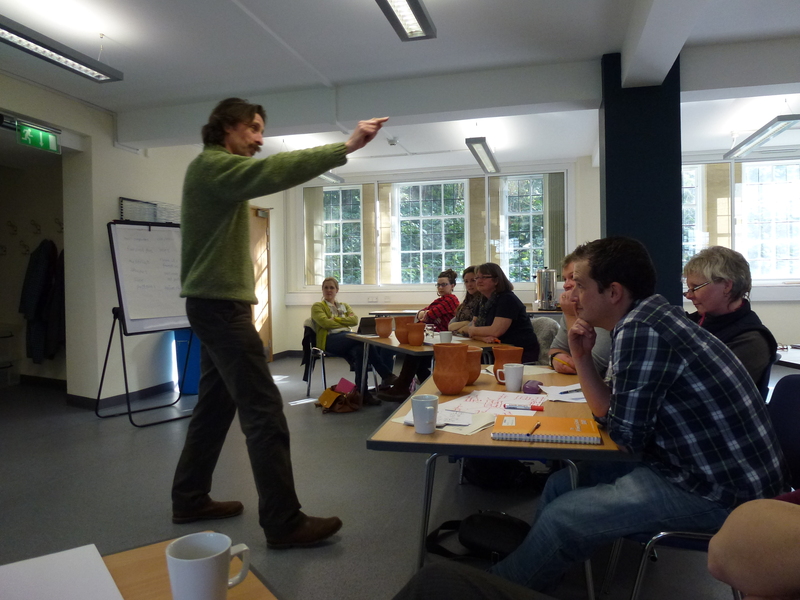 We held a training day at the Museum of Somerset, Taunton, on 19 February 2013. The training day introduced the beakers using three different approaches: imaginative, evidence and education. Teachers looked at a variety of different everyday containers as a gentle introduction to the beakers. They were able to see the original beakers on display in the archaeology gallery and to hear more about how they were found. Our story-teller, Michael Loader helped to bring the subject to life. What have schools been doing? Our participating schools have done some fantastic projects using the Wick Barrow beakers as a focus. Each school has been able to have a replica of one of the beakers, made by Dorset potter and experimental archaeologist, Bill Crumbleholme. Some examples of class and fieldwork from Mark Primary School can be see below. 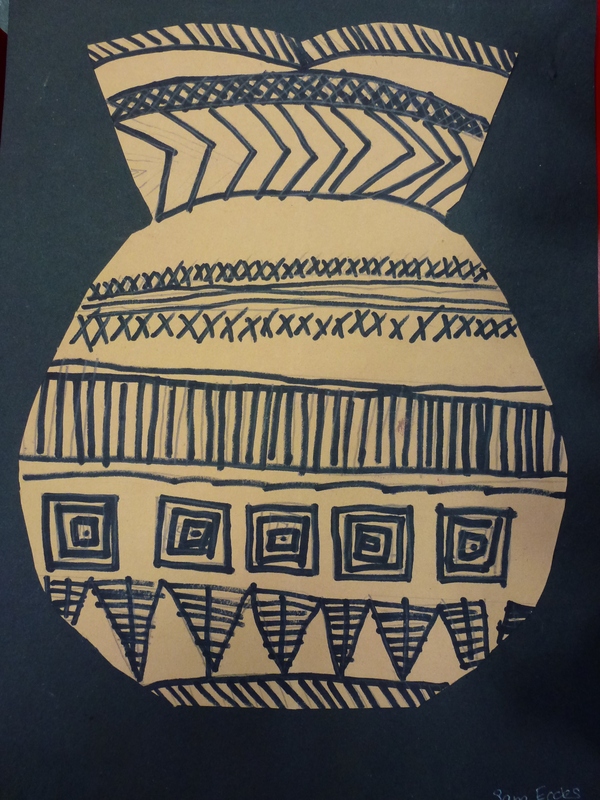 Some photographs of the children’s work will shortly be featured in an on-line exhibition on Pinterest. Here is a flavour of their artwork below. North Newton primary school used an artist to help them make watercolour paintings. This one shows Bronze Age clothing. Some of the schools’ work was on display at the Museum of Somerset as part of the ‘Landscapes of Power, the History and Archaeology of Hinkley Point’ exhibition held in early 2015.